No Fault Rubber Timbers (Borders) are an ideal application for playgrounds and landscaping. Made of 100% recycled rubber, they contain molded channels for excellent drainage. 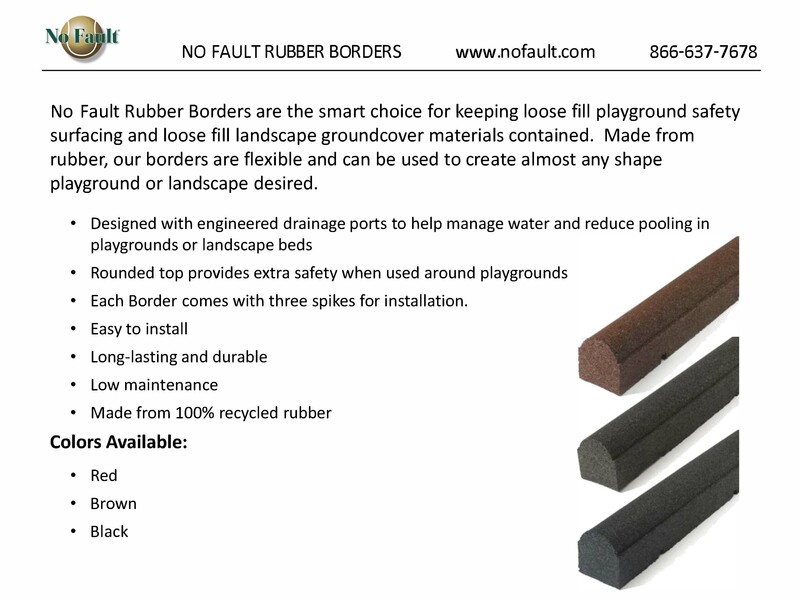 No Fault Rubber Timbers are the smart choice for keeping loose-fill playground safety surfacing and loose-fill landscape groundcover materials contained. They are extremely flexible, and can be used to create almost any shape playground or landscape desired. Our rubber timbers are easy to install and maintain, as well as being long-lasting and durable. They are available in colors of red, brown, and black. 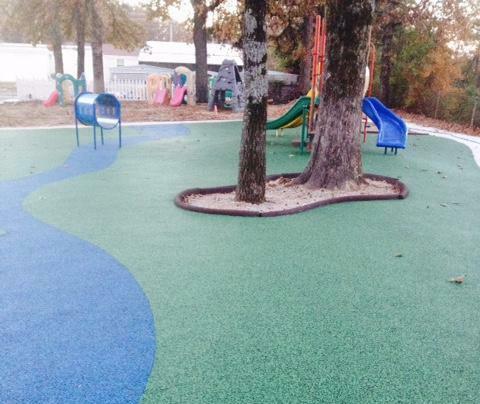 No Fault Rubber Mats are ideal under swings and slides. Made of 100% recycled rubber, they are durable and slip resistant. They are made to stay in place to reduce ongoing maintenance of loose-fill surfacing. Our rubber mats are 32″ x 54″, and 2″ thick.